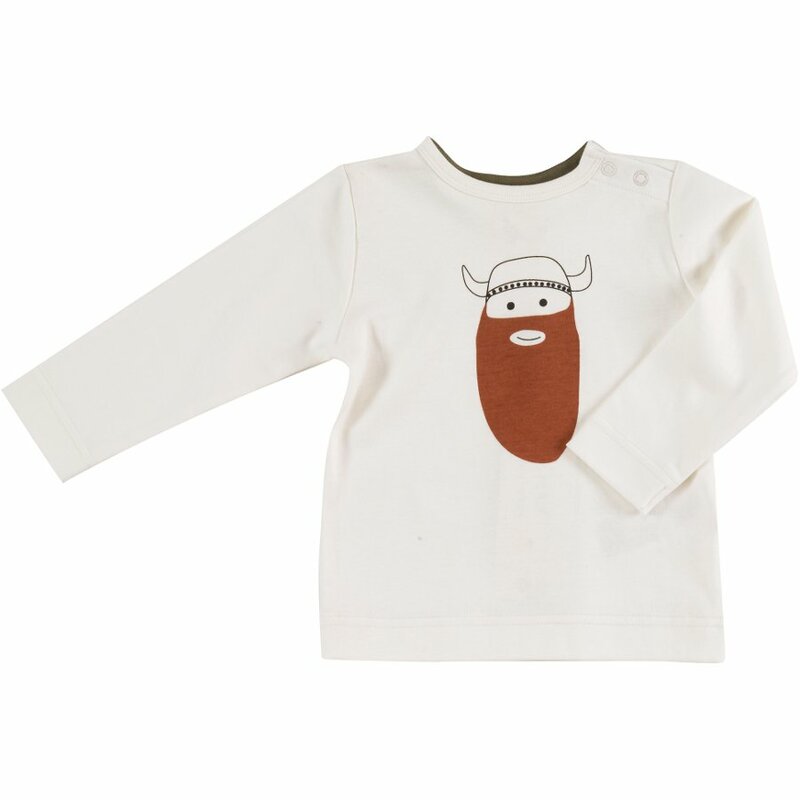 This gorgeous certified organic long sleeved top with Viking print on the front will be a favourite with children and parents alike. 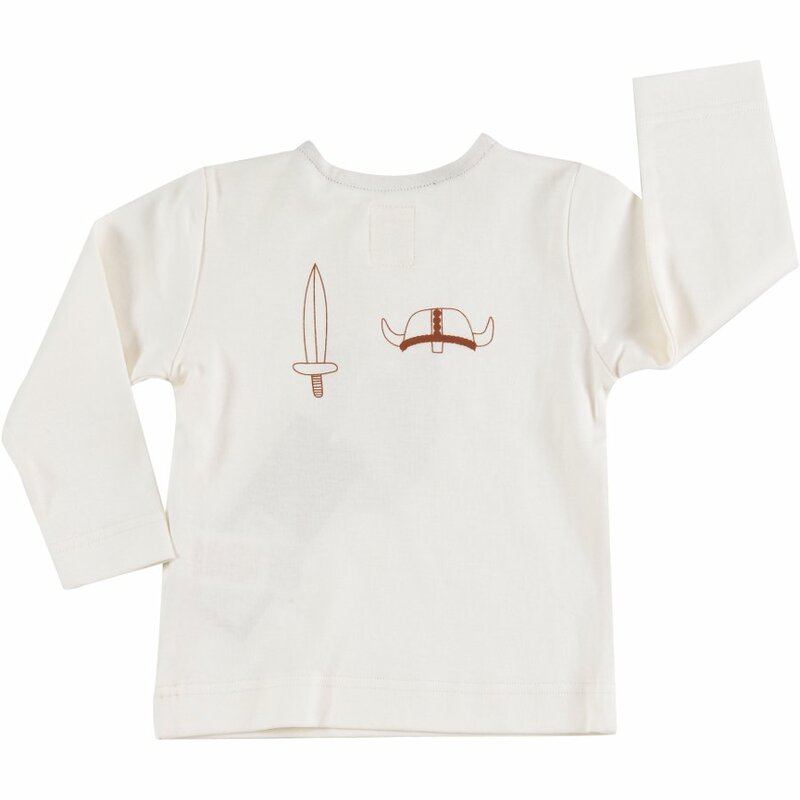 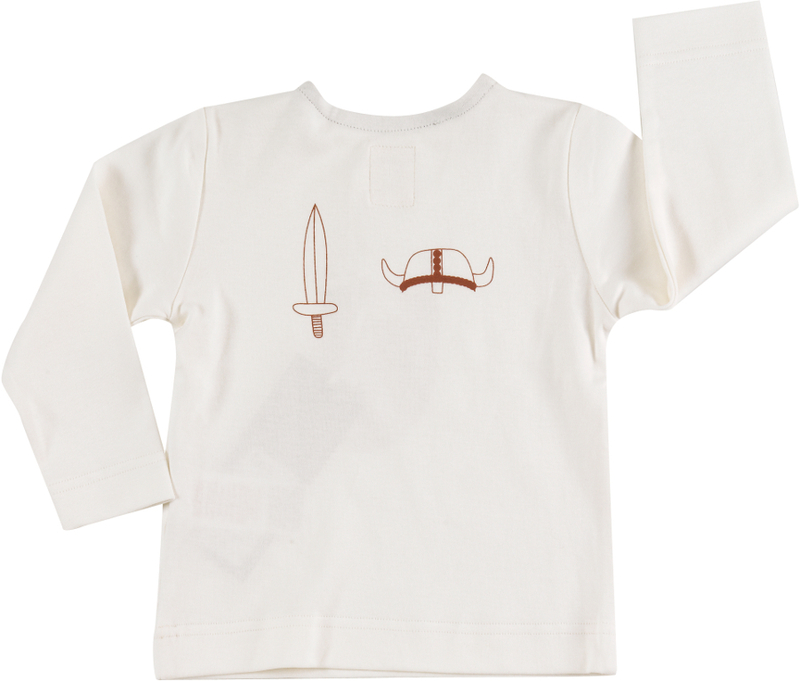 Super soft on even the most sensitive skin, it also has side neck buttons for easy changing and a cool viking helmet and sword printed on the back. 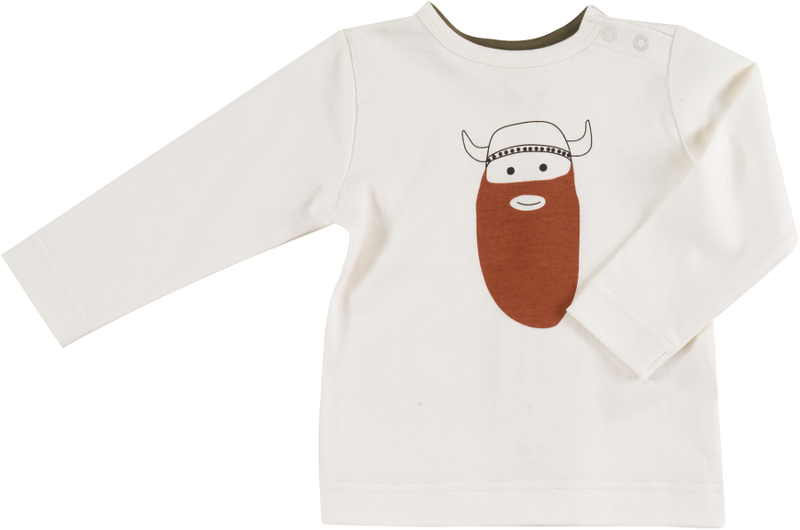 There are currently no questions to display about Pigeon Organics Long Sleeve Viking T-Shirt.